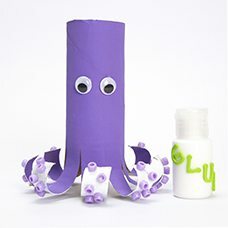 Upcycle a cardboard tube and transform it into an octopus with mini pony bead suckers! 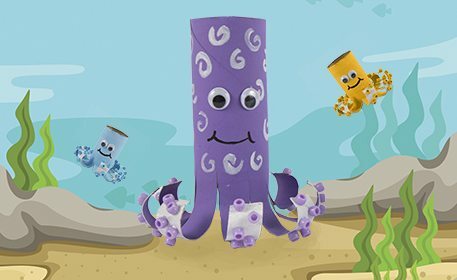 Create a whole family of octopuses with different sized tubes! 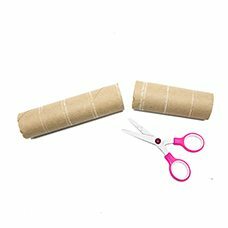 Cut a large cardboard tube into 2 pieces, one being a little larger than the other. 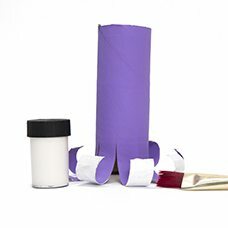 Paint the larger half purple. 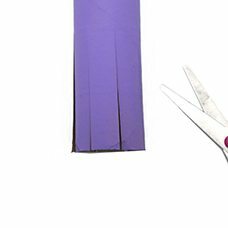 Cut 1/2” slits evenly around the bottom of the tube. 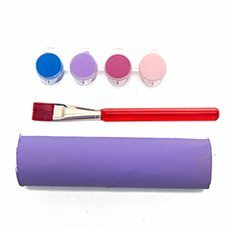 Make the slits about 4” long. 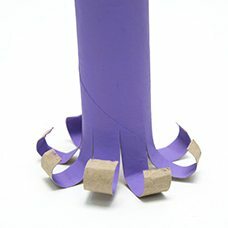 These will be the tentacles. 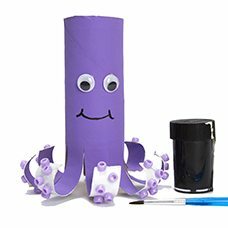 Curl the ends of the tentacles with a pencil. Paint the undersides of the tentacles white. Glue mini pony beads onto each tentacle, as shown. Glue on 2 medium wiggly eyes. 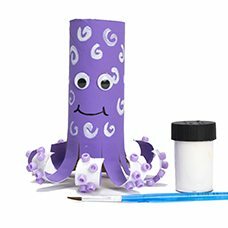 Paint white swirls or a pattern of your choice on your finished octopus!